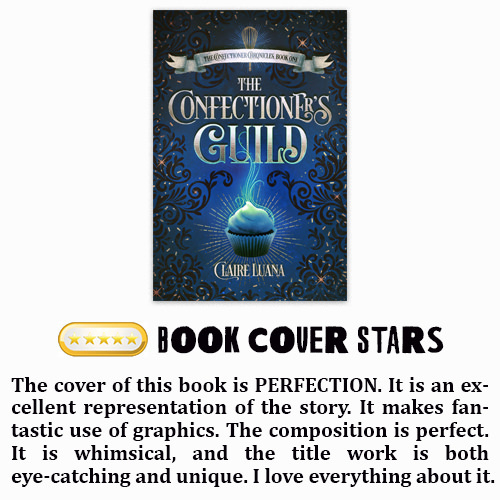 Buy The Confectioner’s Guild to conquer your cravings with a magical mystery today! This book was so much fun to read. It was like a Harry Potter book with magical food! We get a fantastic and well-written story. It was very well paced. The world building was excellent. It had a mystery that kept me guessing until the end. A little romance. Some great friendships. A likable cast of characters (even if all of them acted a decade older than they were supposed to be). I enjoyed it a lot and can’t wait to get my hands on the next book. This one gets two thumbs up from yours truly.